This blog receives a high volume of traffic from people searching “50/50 time-sharing” in Florida due to a piece I wrote about a bill that passed the Florida Legislature creating a presumption of 50/50 time-sharing for both parents. The 50/50 time-sharing bill was vetoed by Governor Scott. The capacity of a parent to act upon the needs of the child(ren). The demonstrated capacity to be informed of the circumstances of the minor child, including, but not limited to, the child’s friends, teachers, medical care providers, daily activities, and favorite things. 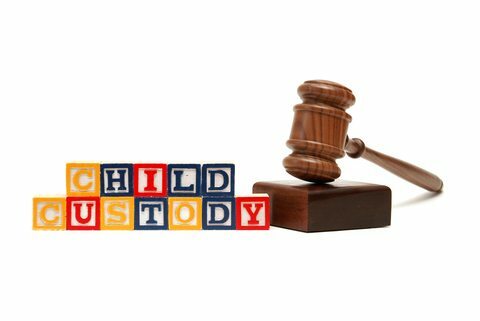 With so many factors to consider, an experienced family law attorney can have a large impact on whether or not a parent will receive equal time-sharing (for a complete unedited list of factors, please click on the following link to Florida Statute 61.13). Since a judge may only consider the evidence in front of him or her, an attorney can help you organize and present the evidence you will need to successfully present your case. If you are not prepared, your request for equal time-sharing is more likely to be denied. 1) Move close to your child(ren)’s current school and reasonably close to the other parent. If you live in your child(ren)’s community, the logistically issues associated with 50.50 time-sharing will be greatly reduced. 2) Stay in contact and involved in your child(ren)’s school, medical care, and extra-curricular activities. 3) Avoid making negative comments about the other parent in the presence of the child(ren). In Jacksonville, Florida, some family law judges, will not automatically approve a 50/50 time-sharing arrangement, even in the context of an uncontested divorce, without first inquiring into the factors listed above. Judges want to ensure that an equal time-sharing arrangement is in the best interests of the child(ren) and not being requested by a parent simply to reduce a child support obligation. A Judge wants to know that both parents are committed to a healthy 50/50 time-sharing parenting plan. The last thing a judge wants to do is award 50/50 time-sharing and end up with one parent shifting the child care burden to other parent without the obligation a higher level of support. If you have questions about how to best approach a 50/50 time-sharing request, please contact us through this website, via e-mail at ctaylor@thetaylorlawofficefl.com, or call 904-339-5298.